A couple more new Nurture circle (do. Good Stitches) quilts were in the latest delivery to the hospital. 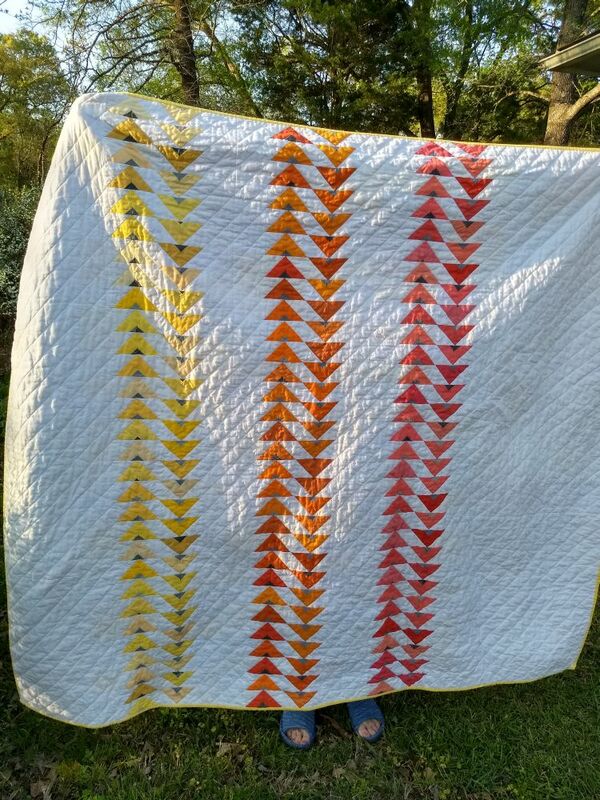 These quilts are made by me and nine other ladies in monthly sewing-bee style. 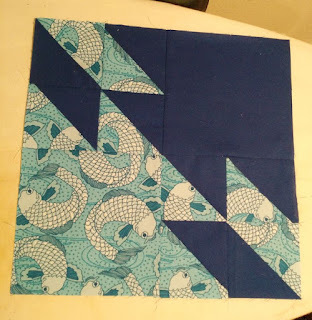 We each made one block from this tutorial. I remember that I counted up each block had over 100 pieces in it. This bright little quilt was put together and quilted by Jenny and she did a beautiful job, especially with the quilting! This is pretty much the last week for the the latest CiL block drive. If you'd like to join in with Covered in Love's mission you can learn more on the main page or check out the block drive. The current Covered in Love block drive is an easy Hunter's Star block. I wish I was the Louise who made that gorgeous geese quilt! Congrats to the Other Louise for being in the magazine, woo hoo! The rainbow star quilt is also stunning, a wonderful gift from your bee. And of course it is wonderful news that we are serving more families with each passing month. Beautiful quilts & beautiful quilting. Over 100 pieces in a single block sounds a bit overwhelming to me. 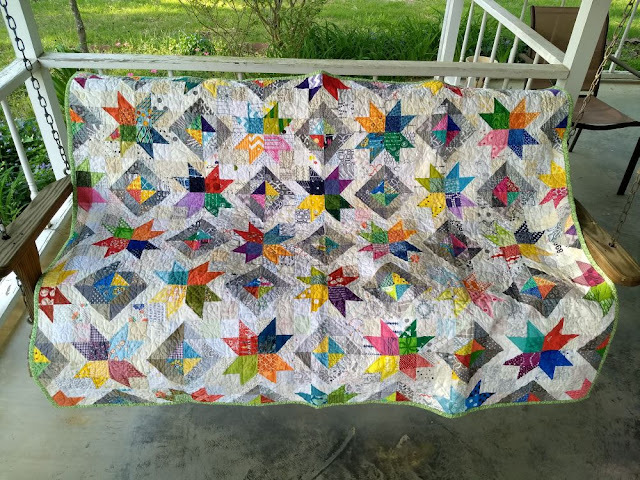 The quilt turned out really pretty. So glad that Chaplain Perry passed that message on to you about the gifted quilt. This is what CiL is all about. Both of those turned out spectacularly!! 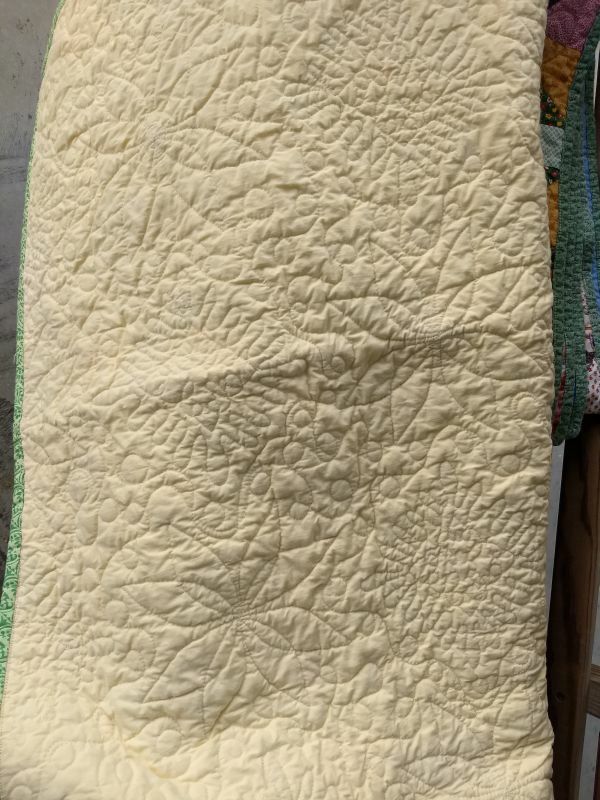 Two beautiful quilts for a worthy project. Well done!